Nihonbashi Kabuto-cho is an area 4-minute walk from Nihonbashi Station. 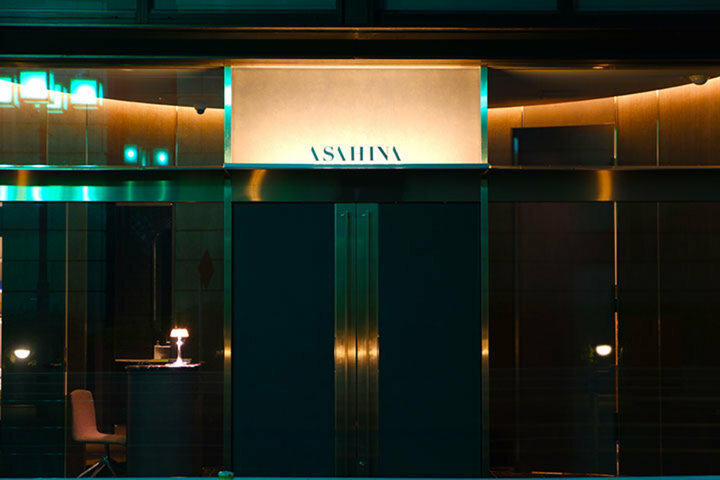 Take a stroll down the quiet road leading to the Tokyo Stock Exchange and you will come across "Asahina Gastornome," a restaurant that is attracting the attention of gourmets around the world. 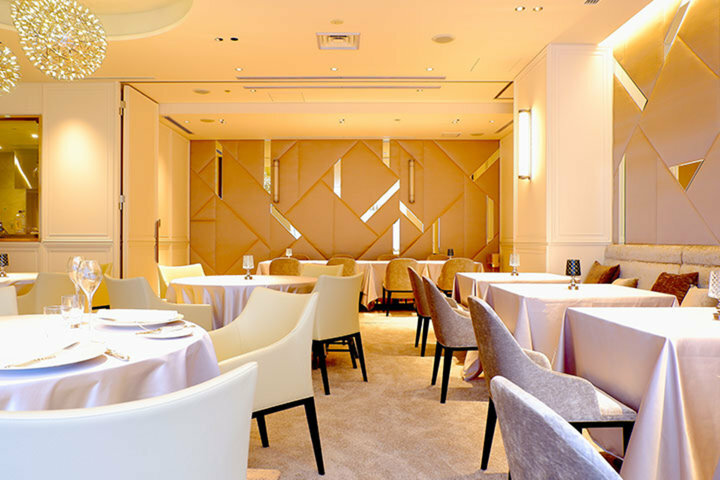 This restaurant serves gastronomy by Mr. Satoru Asahina, a favored disciple of Joël Robuchon and the former head chef of "La Table de Joël Robuchon," a Michelin 2-star restaurant in Ebisu. Here, customers are treated to traditional French cuisine with a pinch of modern esprit and carefully selected high-quality wine. The late Joël Robuchon, who was named Chef of the Century, was the most Michelin-decorated chef in the world. His disciple Mr. Asahina's illustrious career began when he joined "L'Atelier de Joël Robuchon" as deputy head chef in 2004. 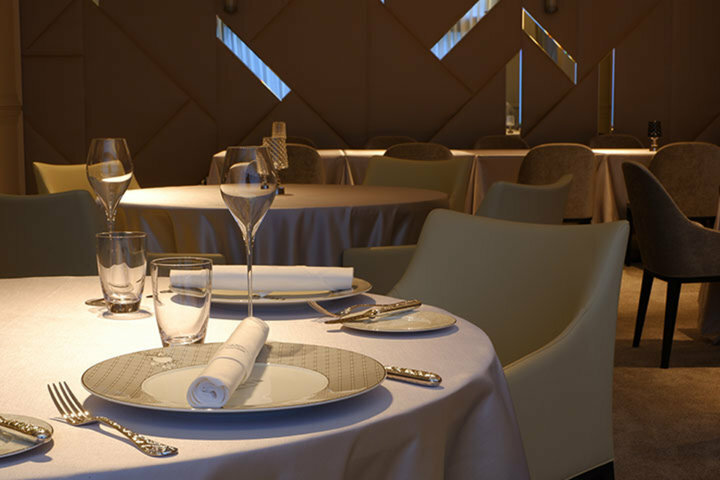 Within the year, he was promoted to head chef at "Le Cafe de Joël Robuchon". In 2007, he traveled to France to study at SAS Ecole Maître Crêpier – Ecoles Treblec in Rennes, Brittany. After graduation, he polished his skills at La Saint Georges, a restaurant specializing in galette and crepes, two foods said to have originated in the Brittany region. 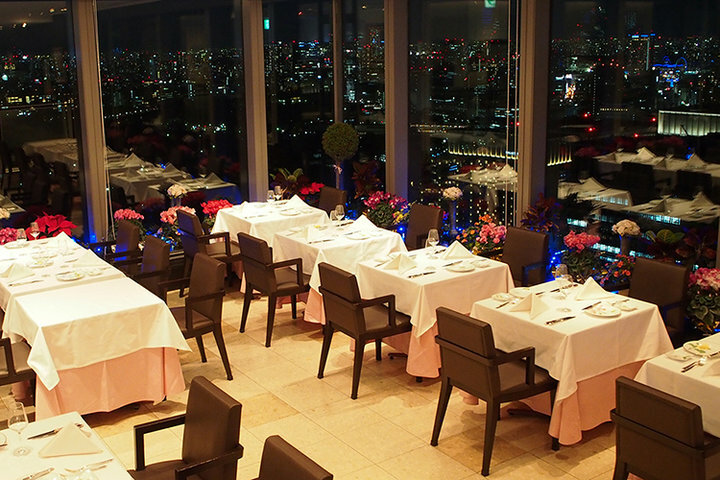 After returning to Japan, he supervised two restaurants: "Le Cafe de Joël Robuchon" and "Boutique du Joël Robuchon". 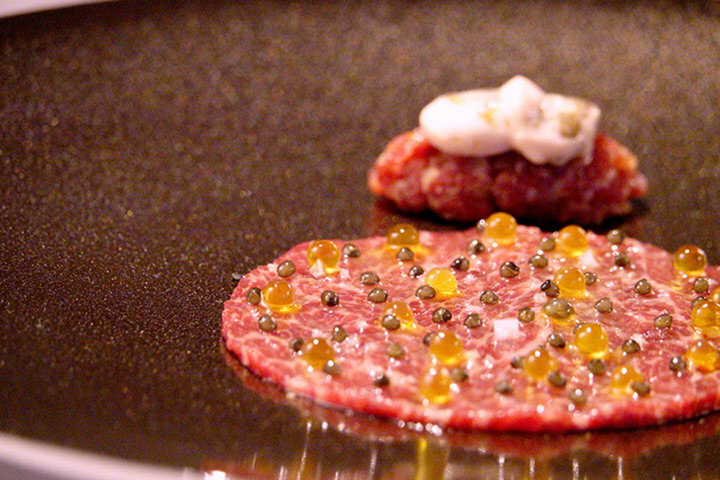 Then, in 2011, he became head chef at "La Table de Joël Robuchon," a Michelin 2-star restaurant. For 7 years, he maintained those 2 stars, demonstrating his astounding culinary skills. In 2016, he was appointed Chairman of Avance no Kai, an association of French culinary contest winners. 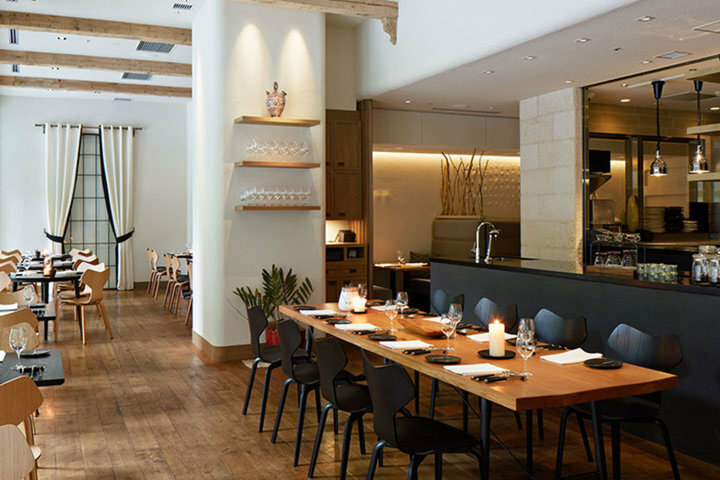 In 2017, he decided to leave the Robuchon Group, where he had worked for 13 years, and in 2018, he opened "Asahina Gastornome," a restaurant in his own name. His favorite phrases are Isshoku-Nyukon ("Pouring one's soul into a single meal") and Issekigan ("A discerning eye"). Chef Asahina makes good use of his discerning eye for people and food as he engages with customers. The concept of his restaurant is based on two keywords: people and food. He explains, "People refers to taking into account the historical background of food culture to develop a refined taste for the pleasure of dining and to help one's fellow man through food. Food refers to deepening one's understanding of the classics while pursuing modern cuisine to give shape to flashes of inspiration and to unravel the essence of French cuisine. I intend to build up "Asahina Gastornome" through these 2 concepts". 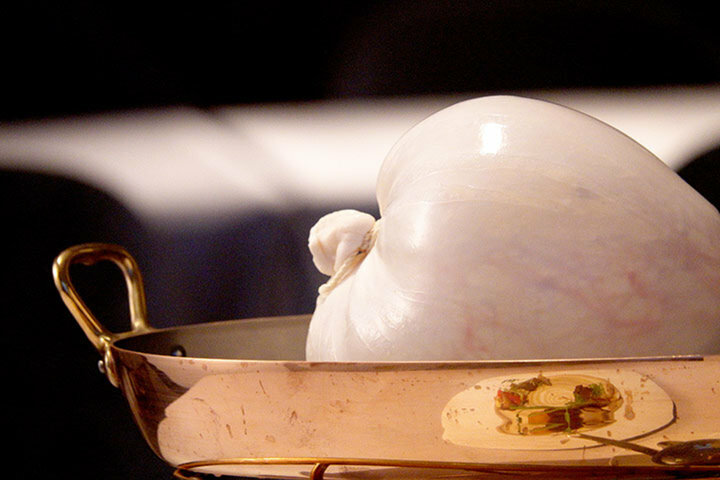 Finding the ideal ingredients for French cuisine is also no easy task. 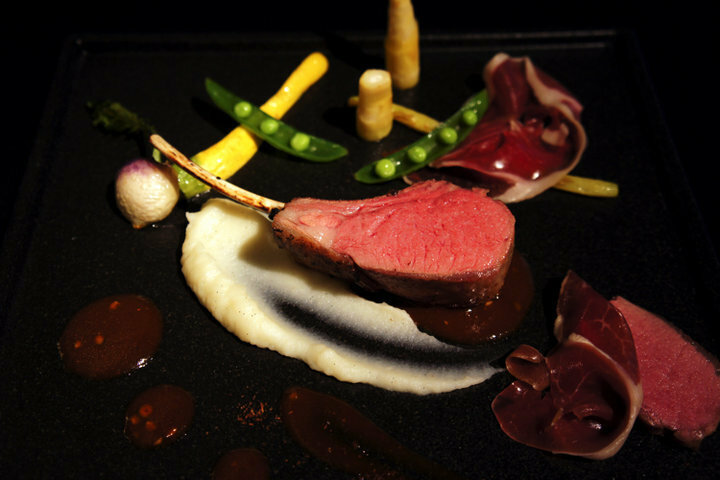 Chef Asahina says, "Ingredients direct from the farm are delicious. Organic vegetables are delicious. However, French cuisine gives you even more than that." 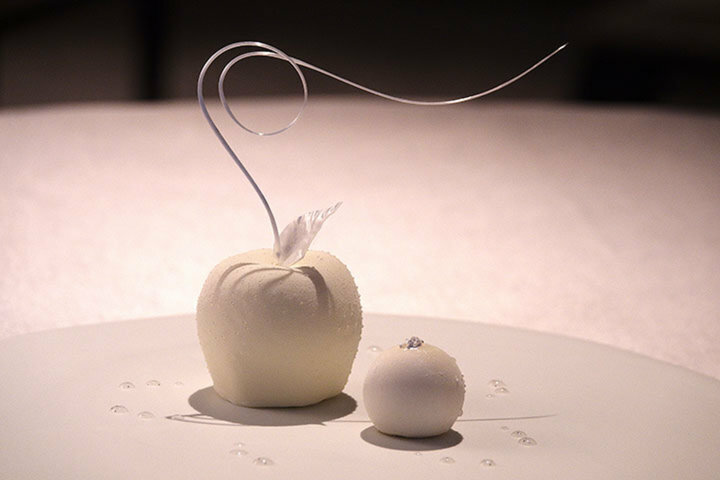 One must imagine the final flavor and search for ingredients that can be deliciously transformed through the techniques of French cooking. Walking down the dimly lit cobble road, it's easy to imagine that you're visiting a restaurant in Europe. From the glazed entrance doors, you can see a modern and elegant space with a keynote of white and touches of silver and platinum. The cutlery and show plates are by Marcel Wanders, an international art director, and the chandelier is by Moooi, a Dutch interior brand. Designed under the theme of "not too modern, not too classic", great attention was paid to the fine details of the interior, making for a stylish yet comfortable space that further enhances the mood of the gourmets who love Chef Asahina's cooking. 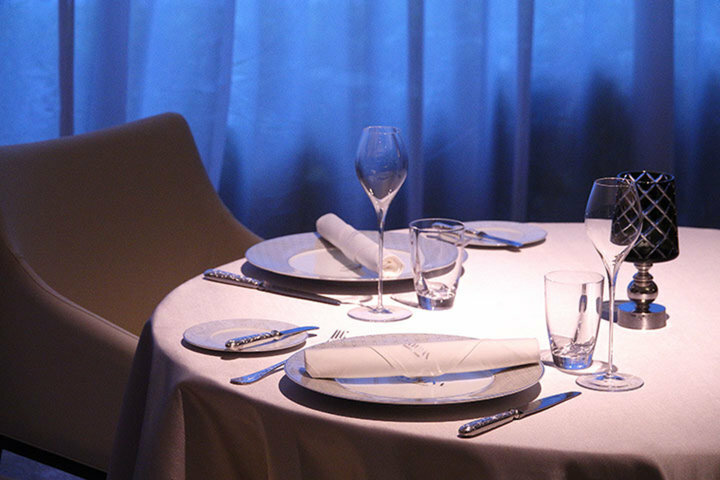 This is a restaurant where you can have a wonderful time with someone special, savoring world-class cuisine and lavish hospitality in perfect comfort.